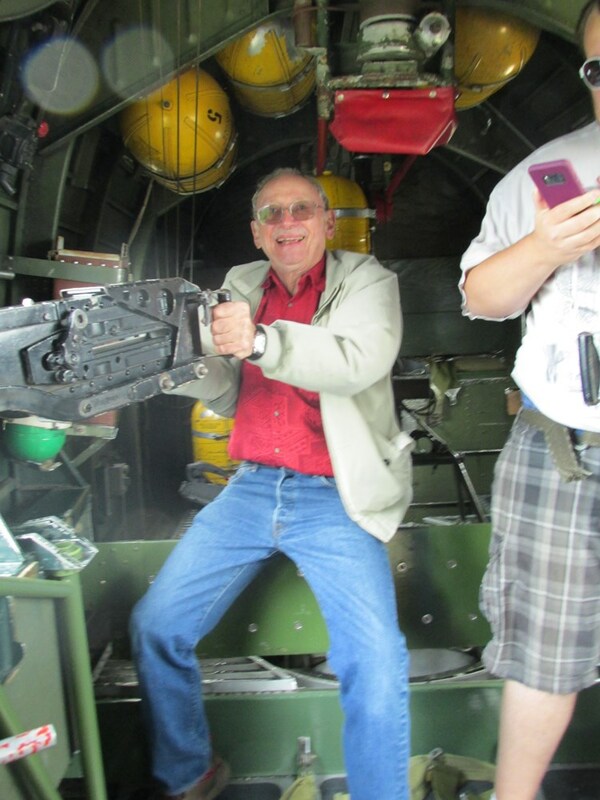 After my very succesful P-51 flight for my 75th birthday, I thought it was time to ride in a WWII bomber. 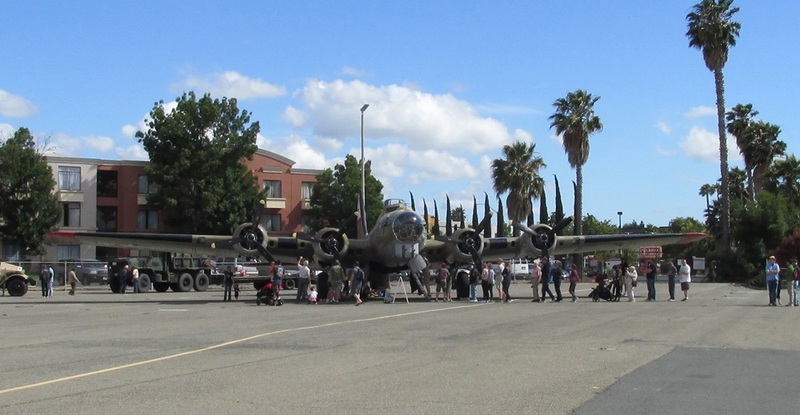 Turns out that for various reasons it was most convenient to schedule the flight with the Collings Foundation during their Wings of Freedom Tour stop at Buchanan Field in Concord, CA. 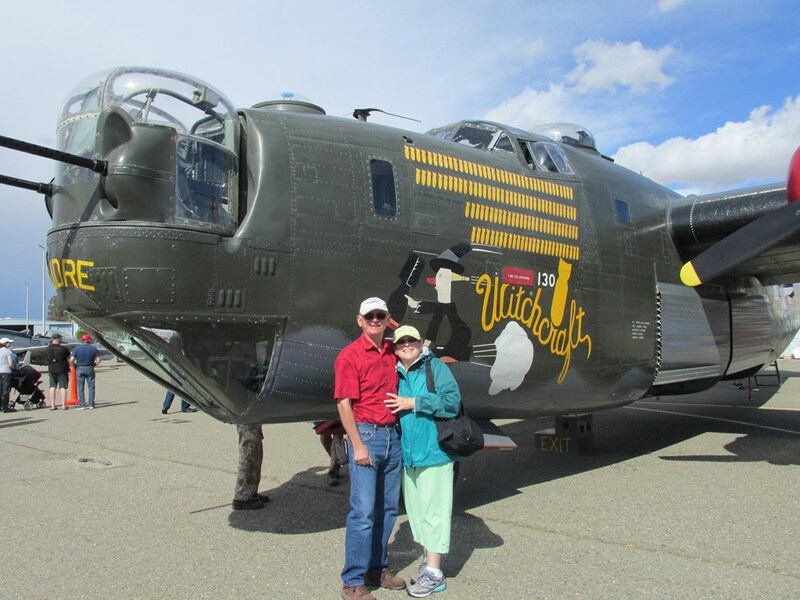 Amelia and I arrived at Buchanan Field around 4:15 on June 11. 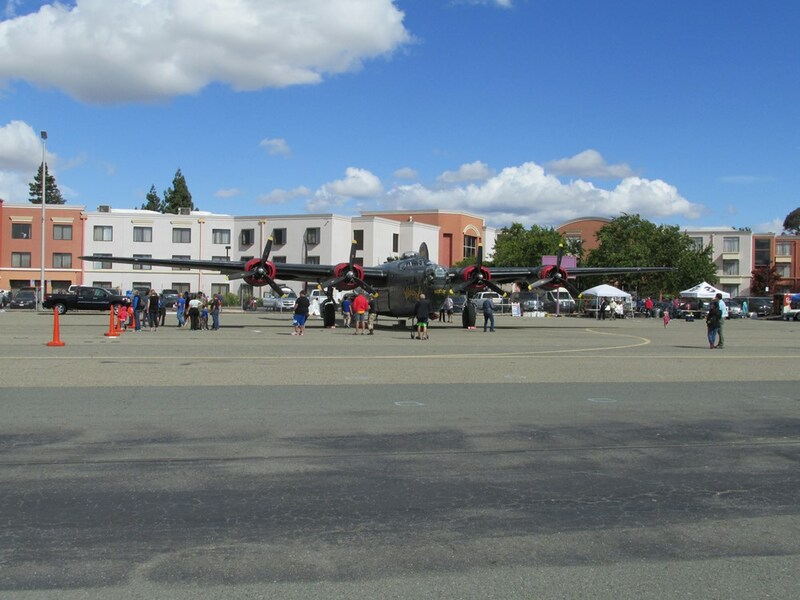 I checked in, paid, and we walked around the displays: a B-25 Tondelayo, the B-24 Witchcraft, a B-17 Nine O Nine, and a P-51 Toulouse Nuts. A kindly fellow took this picture of us in front of Witchcraft. Here's a closeup of the Witchcraft's left waist gun. 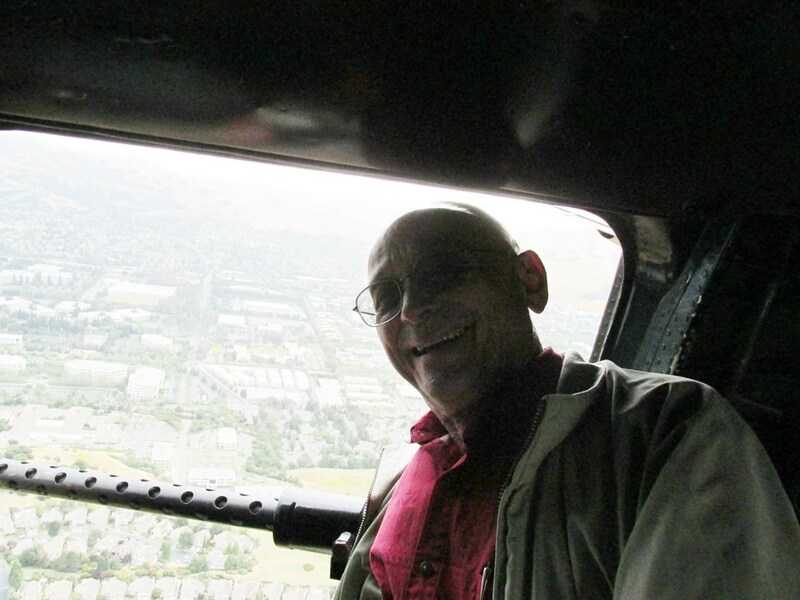 After the general visiting hours were over, the flights began. 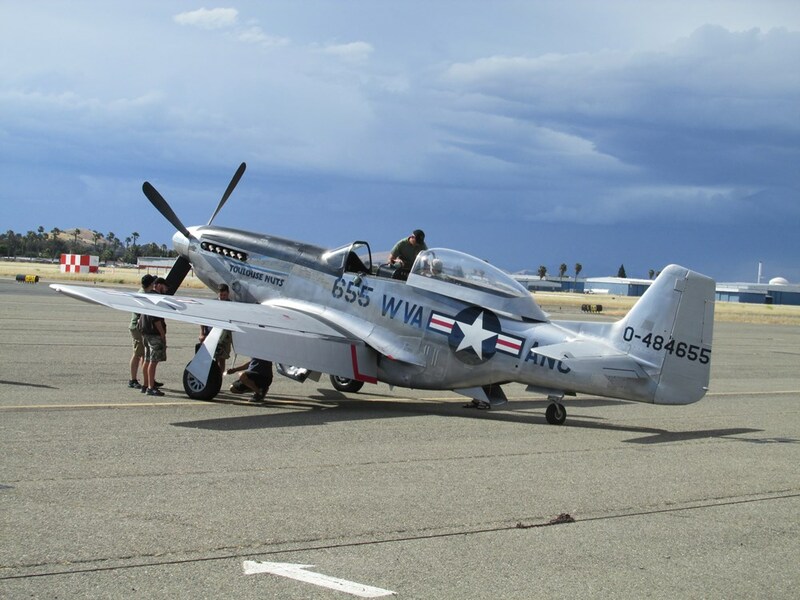 The P-51 was first to taxi out. Here is my video of that event. 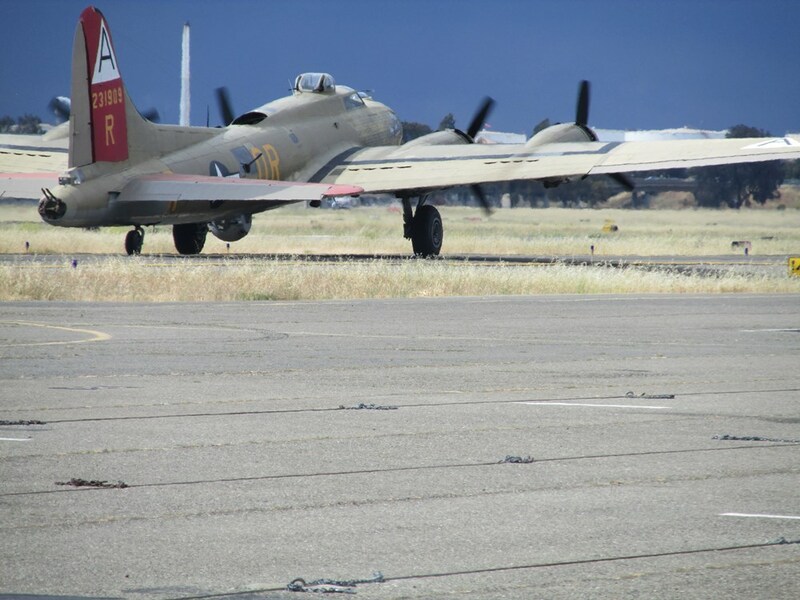 Here's Nine o Nine taxiing toward the runway. 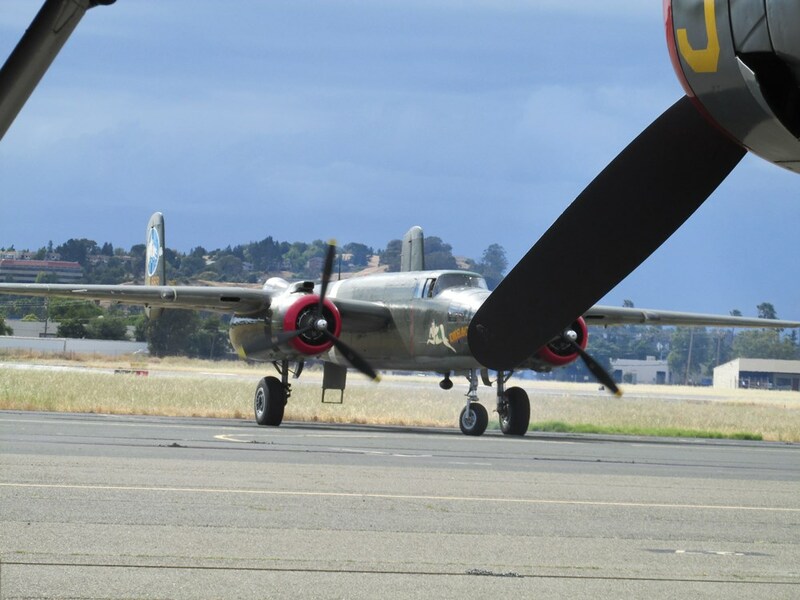 These were captured on video by Amelia, with me at the end ready to board the B24. It was followed by Tondelayo. 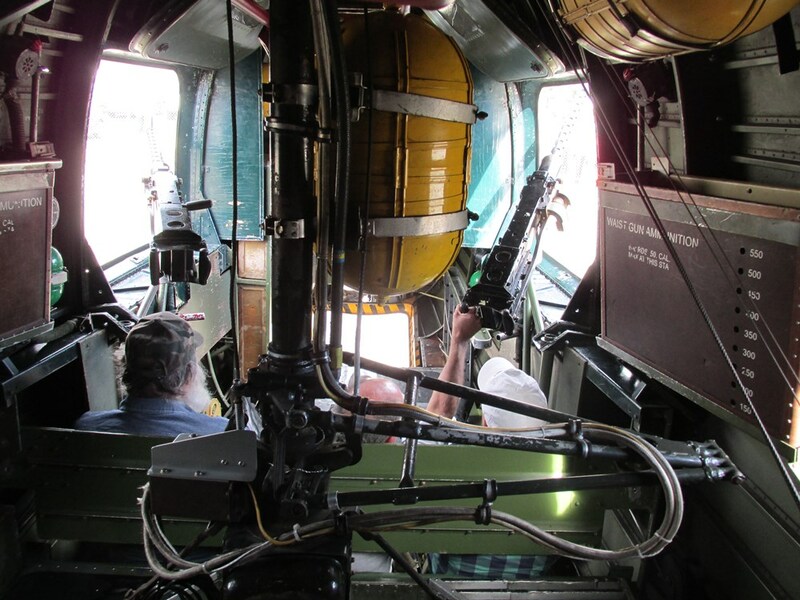 Eventually we boarded the B-24, and got belted in. 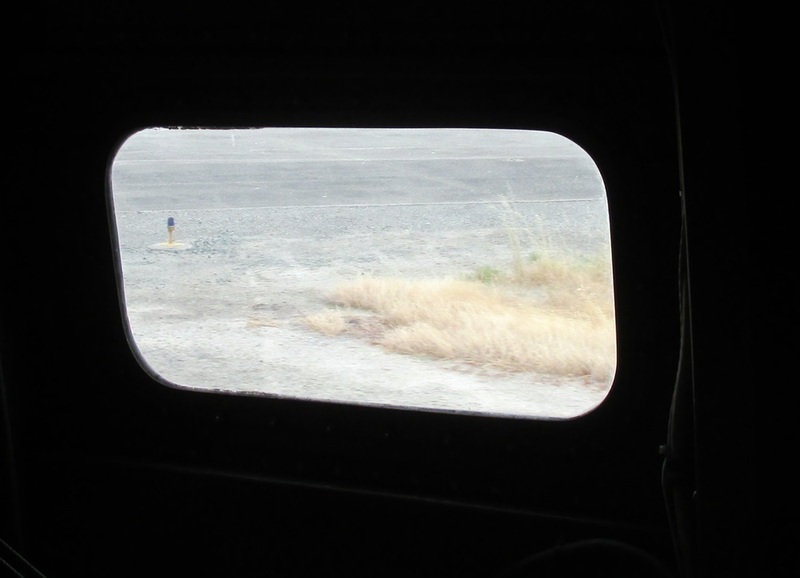 Amelia got us taxiing out, and I got a little from the inside. 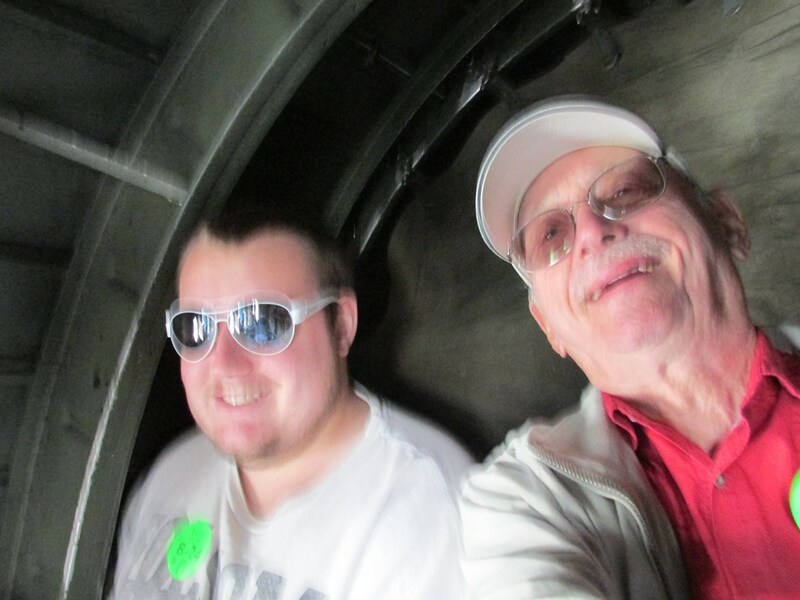 We were all riding backward in the back of the airplane. After takeoff we could get up and move around. 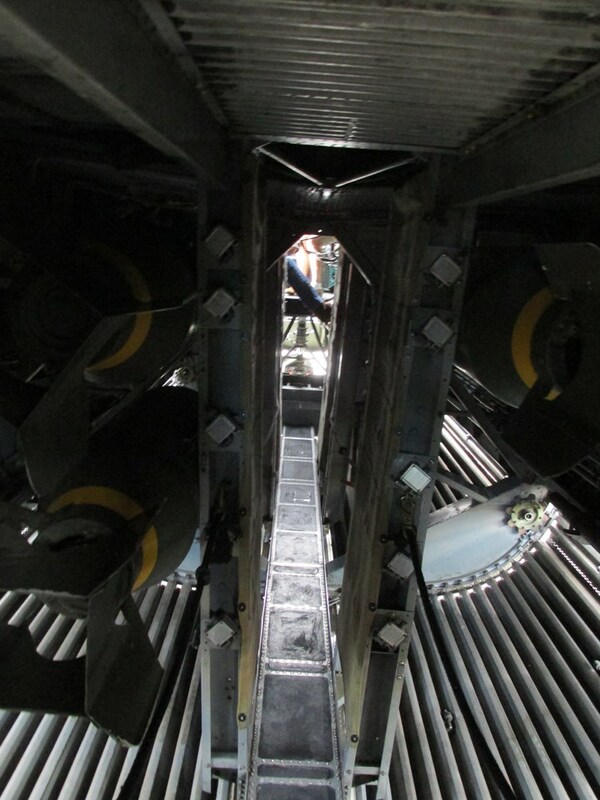 Here is a shot of the catwalk through the bomb bay. 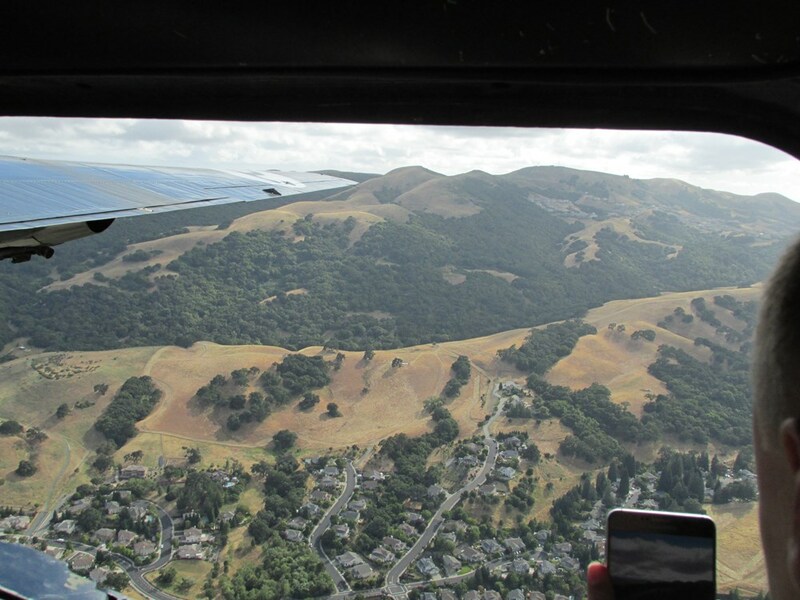 Soon, we were over Alamo, looking a little south of east. 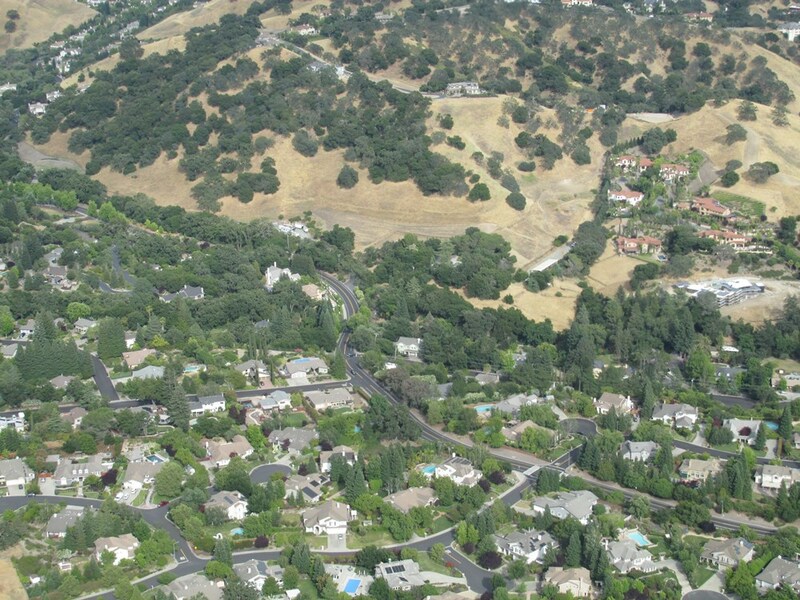 Continuing on south, we had a look at Diablo Country Club. 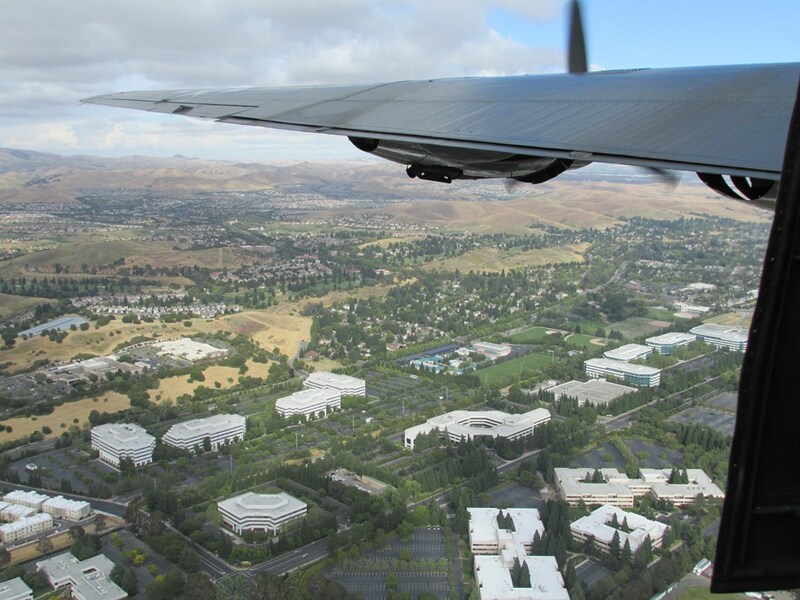 We journeyed on, and here is a view of a business park (I presume) in San Ramon, looking at it from the northwest. 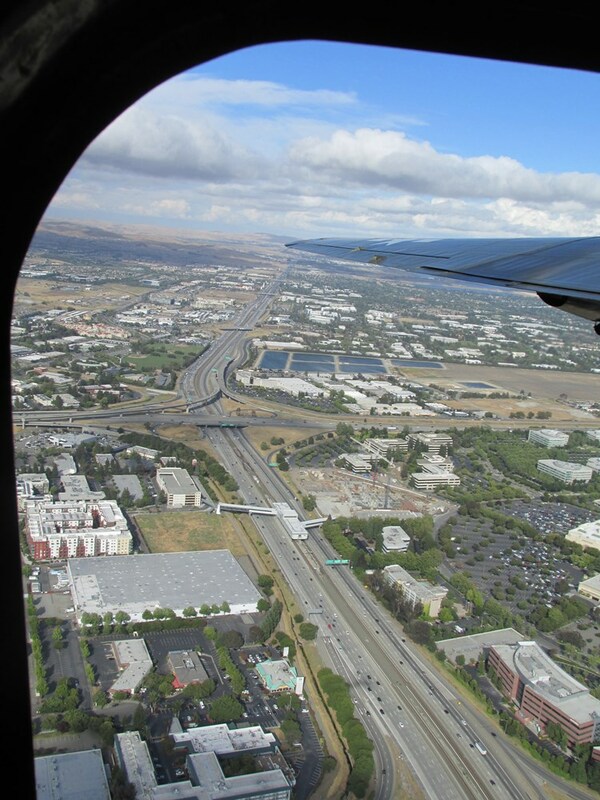 A bit later here is shot looking toward the southwest over San Ramon Then we passed by the I680/I580 interchange, viewed from the west. 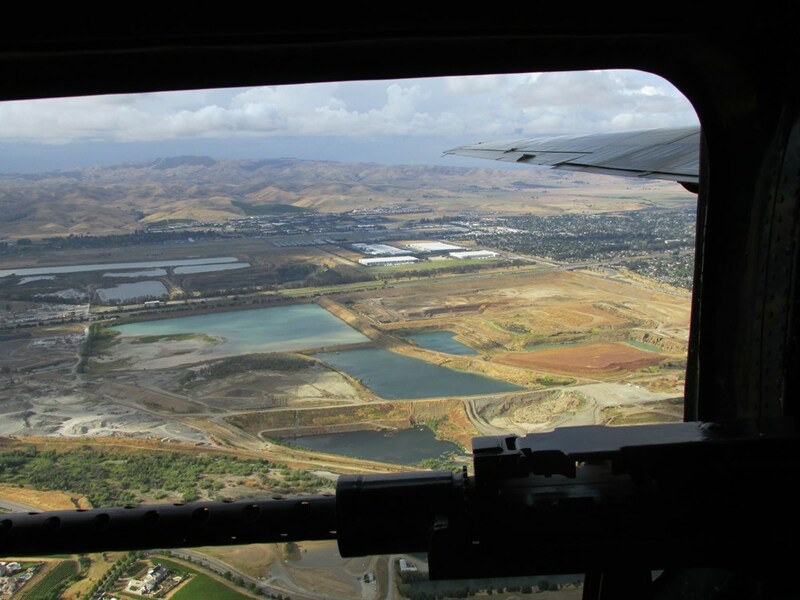 Then we cut east toward Livermore, and here are some ponds and the Livermore airport beyond. 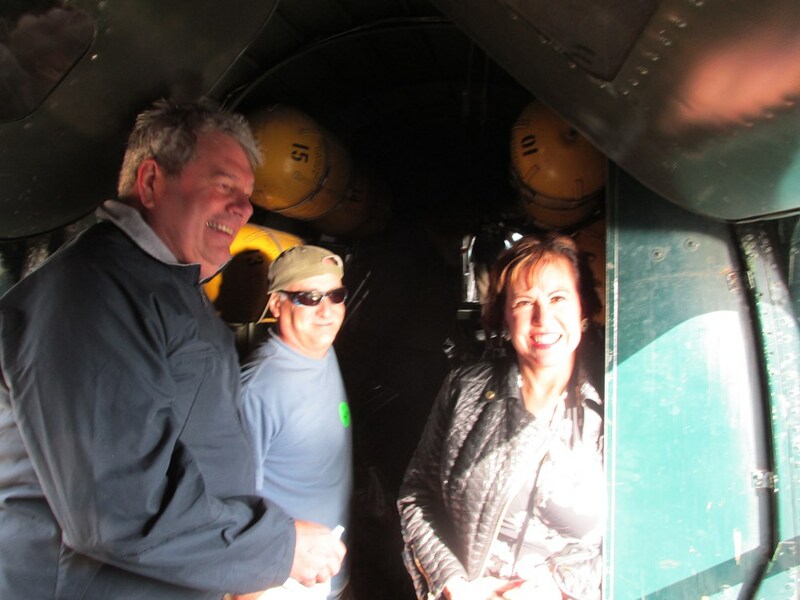 I was enjoying myself at the waist gun, with the business park in San Ramon to the south. There were some other happy folks, too. Here I am again. 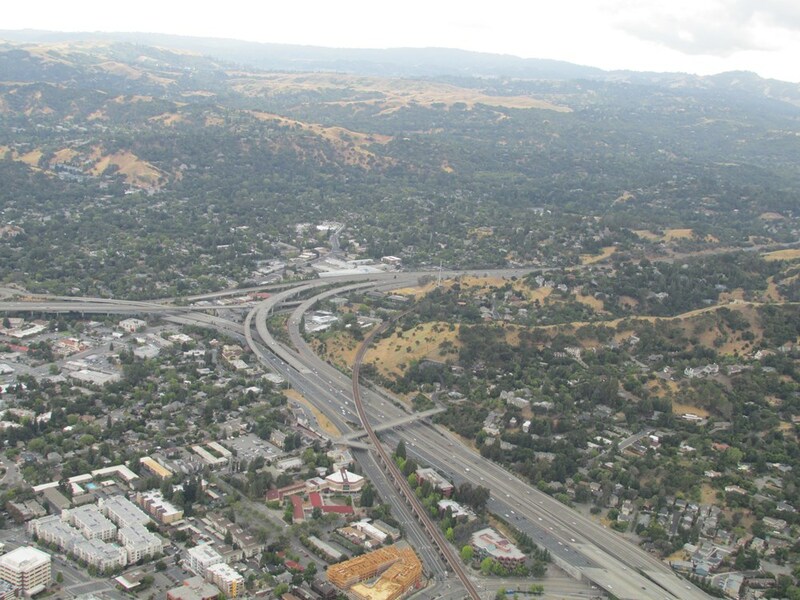 I the meantime we have been heading back toward Buchanan, passing to the north of the I680/HW24 interchange. 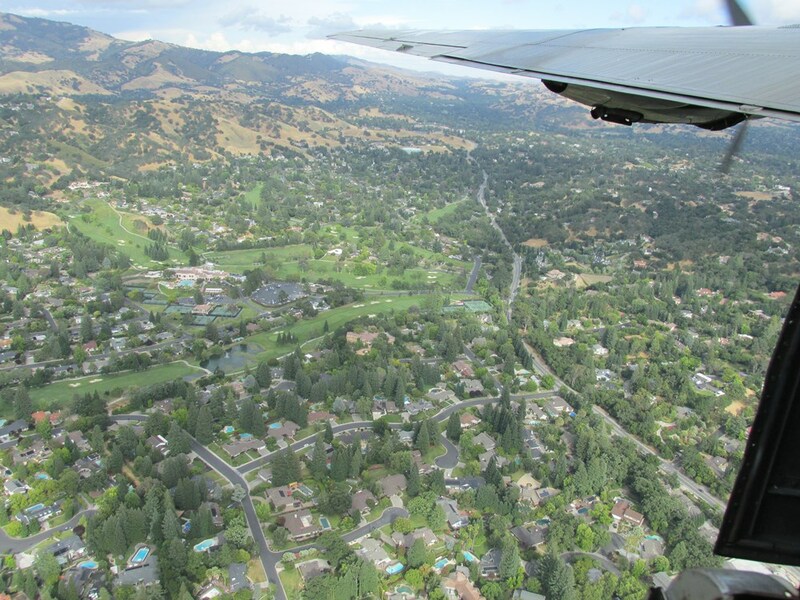 Approaching Buchanan Field, it's wheels down. Soon we're on the runway watching grass go by. While I was gone, Amelia got a couple of videos. 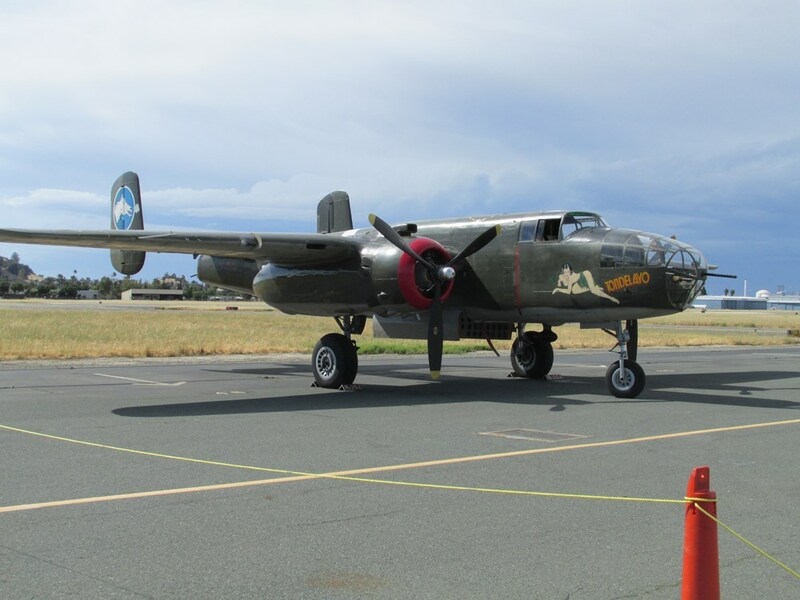 The B25 on it's return and the my B24 when it returned. 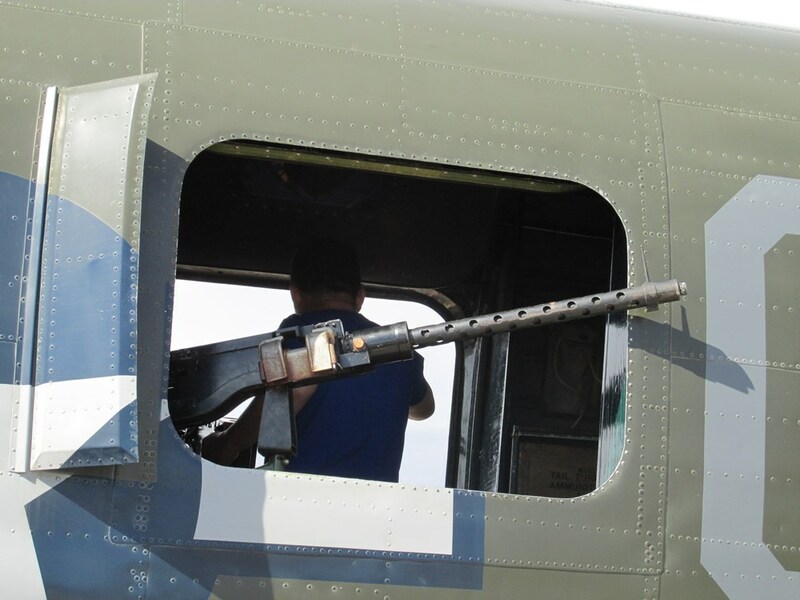 This ride was fun, but if you want to ride in a B24 (or B17) and a P51, take the bomber ride first. After the P51 the bomber is downright placid (well, OK, it is bumpy), but not near the thrill of the P51. But I'm glad I did it. 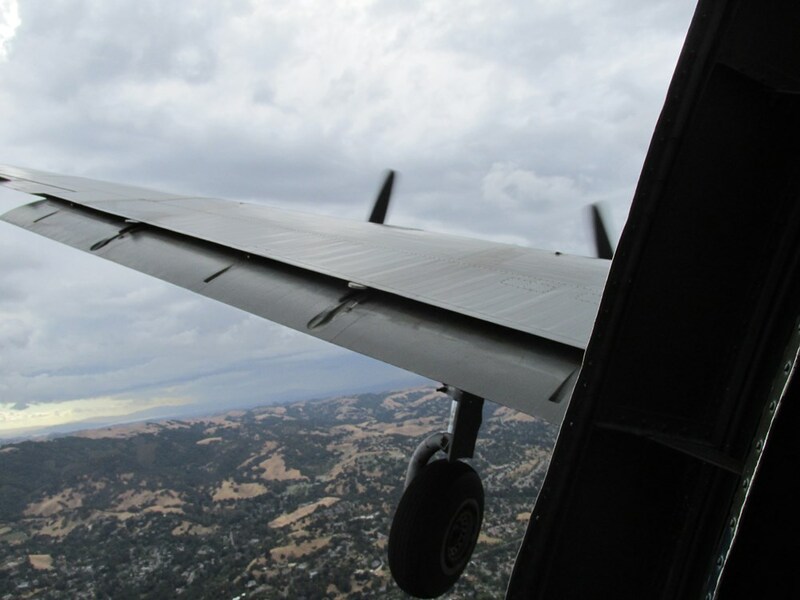 Thanks to the Collings Foundation and to my "kids" (yah, even nearing 50 they're still kids) for their contributions to my birthday flight.